Phone call slots can be copied to another day within the session. Select the dates within the session that you would like to copy the phone call slots to. 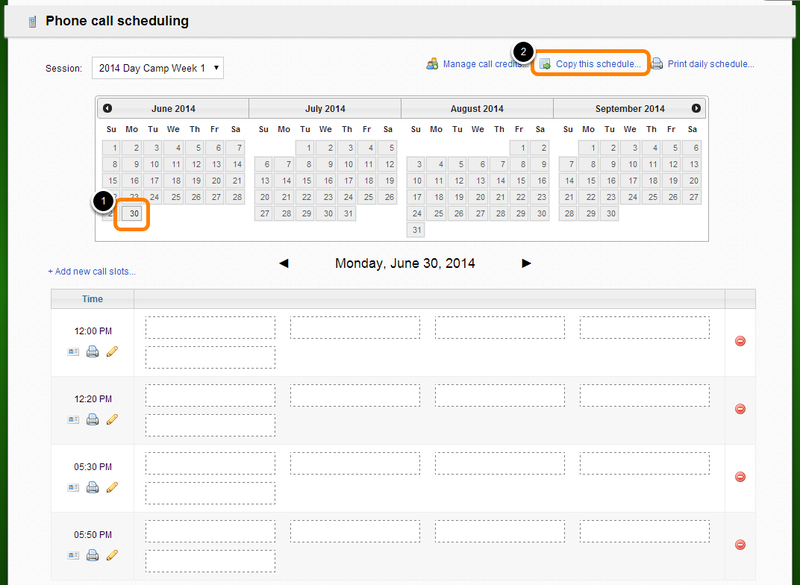 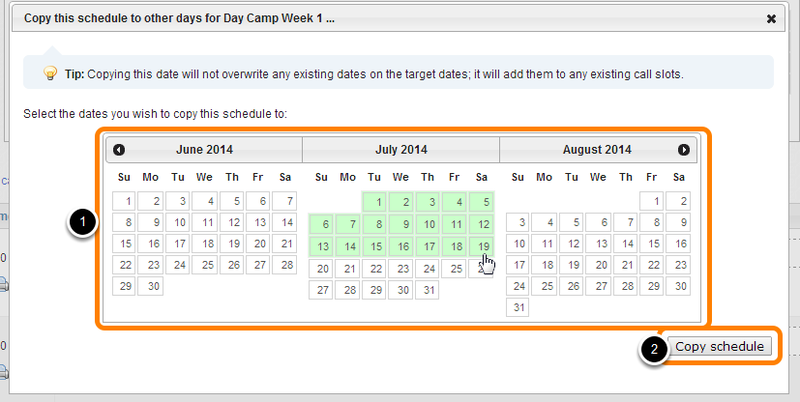 The green shading on the calendar will indicate that phone call slots are now available on the selected days.